Disney’s Goofy has all the characteristics of his name. He is silly and foolish and quite often appears less than bright. Given how Goofy behaves, it’s hard to believe that there are any lessons that could be learned from him, yet there are. Here are some lessons gleaned from watching Goofy cartoons. Pay attention to what you are doing – Goofy has a tendency to try and multitask, and he is terrible at it! If you don’t pay attention to the task at hand, you could end up suffering terrible consequences. Trust your instincts – Even though things might go wrong at the outset, it seems that if Goofy has a feeling about someone or something, eventually, his feelings prove true. It can be just like that in life; oftentimes, kids will get a feeling about someone or a particular situation. They might not be able to articulate what the feeling is, but if they are taught to trust their instincts, it could keep them out of trouble later in life. Communication is indispensable – In “A Goofy Movie” Goofy and his son, Max, take a road trip to go fishing. The problem is that Max had other plans. They didn’t communicate with each other; consequently, Max ended up going on a trip that he absolutely hated, until he manipulated the situation into something more to his liking. If the two had communicated with each other in the very beginning, things would have turned out completely different. Kids need to learn that communication is critical in relationships and parents need to learn to listen to their kids. Listen to your parents – In the same movie Max gets in all kinds of trouble because he doesn’t listen to his father. Goofy isn’t a strict parent at all, but he does love his son and wants the best for him. Max is essentially a decent kid, but he does things he shouldn’t and not listening to his father is one of them. This gets him into trouble. Be willing to forgive – Goofy gets his feelings hurt and he could easily hold a grudge. Instead, he forgives and moves on. This is a significant lesson for everyone to learn. Watch where you are going – Goofy has a habit of not watching where he is going and consequently always ends up in trouble. Keep an eye on what’s in front of you. Mind your manners – In one episode of Mickey’s Clubhouse, Goofy drinks down a cup of hot chocolate and he burps. Then he says, “Oh! Excuse me!” In many cartoon shows, manners are forgotten. Characters burp and break wind all the time; they don’t always pardon themselves. Pointing out good manners to kids is always beneficial. Think things through – This might be a difficult lesson to teach little ones, since they are just learning the rules of the world, but that’s where cartoons can come in handy. Goofy and Donald get lost on a mountain in an episode of Mickey’s Clubhouse and Mickey and Pluto go to rescue them. Goofy and Donald built an enormous snowman on the path. It was so big it blocked the way and Pluto has to dig through the snowman to get to them. If they had thought about the placement of the snowman, they wouldn’t have built it on the same path they needed to use to get down the mountain. Losing something you important to you makes you sad – When Goofy loses his hat he becomes terribly sad, but his friends help him find it. It’s okay to be sad about losing something that means a lot to you. Goofy teaches kids not to get angry, but rather get some help to find the missing object. 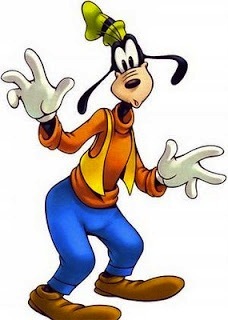 Be a loyal friend – One of the lovable things about Goofy is that he is a faithful friend and everyone loves him. Being that kind of friend is a valuable lesson to learn. When you watch cartoons with your children and point out the lessons discovered, you are spending quality time with your child and teaching critical thinking skills along with family values. It’s at these times that TV can become a helpful tool for parents.